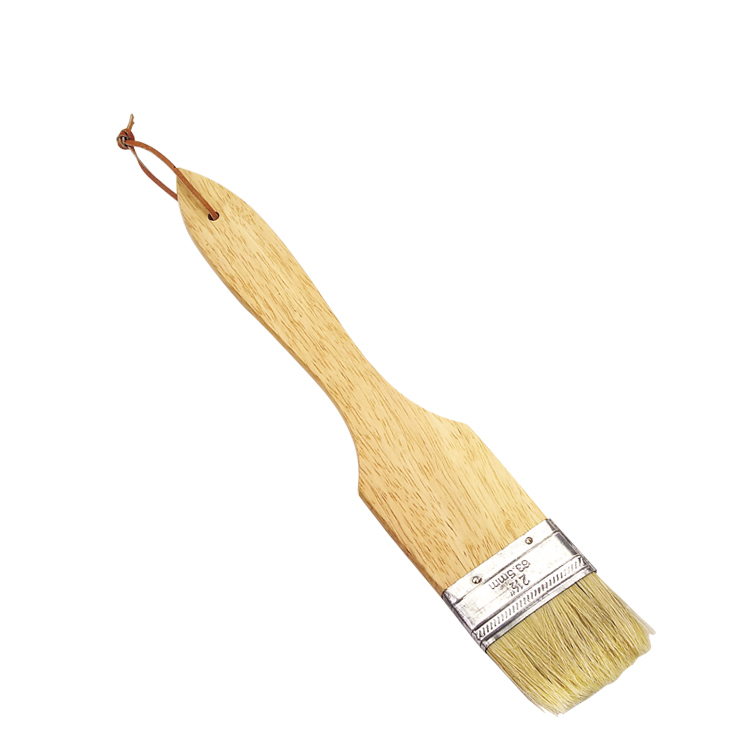 This flat pastry brush is important instruments in any commercial kitchen or bakery. This brush features boar-hair bristles, which are significantly more pliable than their synthetic counterparts. Comes with wood handle. It can handle several tasks such as covering pastries with an enticing butter glaze or coating glaze onto a ham. It tend to hold much more liquid and spread much more evenly than nylon brushes. Looking for ideal Boar Hair Bristle Brush Manufacturer & supplier ? We have a wide selection at great prices to help you get creative. All the Boar Hair Pastry Brush are quality guaranteed. We are China Origin Factory of Boar Hair Grill Pastry Brush. If you have any question, please feel free to contact us.